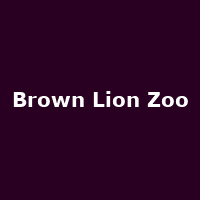 Brown Lion Zoo are an indie-rock band from Nottingham, formed in 2017, featuring Ferg Moran - Vocals/ Guitar, Will Crumpton - Guitar/ Synth, Brad Garfoot - Bass and Dom Feria - Drums. They released their debut EP, "Where's My Sandwich?" in 2017.